Former senior Ulster Unionist John Taylor, now a cross-bench peer Lord Kilclooney, yesterday faced calls to apologize for his comments on the bombing of McGurk’s bar in north Belfast in 1971. On Saturday, it emerged that Jackie Nicholl had resigned from the victims’ forum after learning of Mr. McClenaghan’s history. Mr. Nicholl’s 17-month-old son Colin was murdered in an IRA bomb in 1971. The 79-year-old, from Carrickfergus, told the News Letter he was “furious” to discover Mr. McClenaghan’s past. 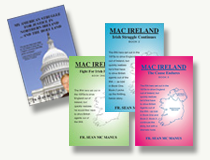 Unionists had since criticised Mr. McClenaghan’s appointment to the forum last year. Lord Kilclooney described it as “simply appalling” and called on victims commissioner Judith Thompson to resign. Last October, Lord Kilclooney refused to apologize when challenged online by Ms. Irvine over declaring the McGurk’s bar bombing an IRA ‘own goal’. He has also caused controversy over other Twitter remarks, including his description of Taoiseach Leo Varadkar as “the Indian,” and claiming unionists and nationalists are not political equals. The Commission for Victims and Survivors said they “acknowledge and respect” Mr. Nicholl’s decision to resign from the forum.